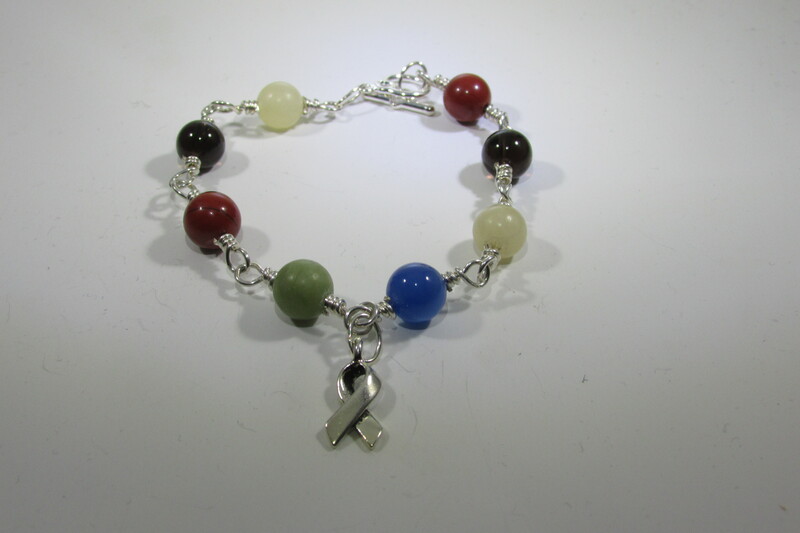 This hand wired bracelet can be worn to express your support for individuals with Autism Spectrum Disorder. 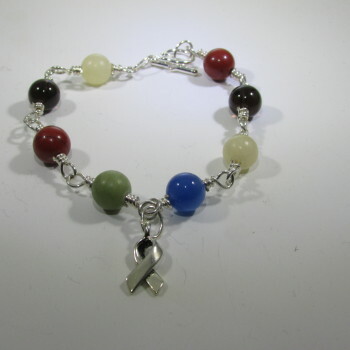 The bracelet is 8 inches in length and consists of silver-plated wire, 10 mm yellow Calcite, Garnet, blue Aventurine, green Serpentine and Smoky Quartz beads and a silver-plated, pewter awareness ribbon. 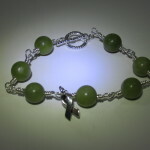 It is fastened with a silver-plated toggle clasp. 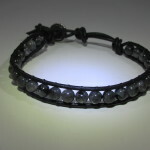 A portion of all sales will benefit special education. Hello There. I found your blog using msn. This is an extremely neatly written article. I’ll be sure to bookmark it and come back to read extra of your useful info. Thank you for the post. I will certainly return.